Mormon Wookiee: #12: Paul the Apostle, Alma the Younger, and Darth Vader. #12: Paul the Apostle, Alma the Younger, and Darth Vader. I love stories of redemption. Stories of redemption are a testament to the fact that people really can change. It is always satisfying to see someone who is evil, cruel, or selfish make a complete 180. Extreme stories of redemption remind me that if people can change the really big stuff in their lives, then I can change the little stuff in mine. Paul is rad. Buuuuut he wasn't always rad. In fact, when we first meet Paul in Acts chapter 7, he is totally NOT rad. Quite the contrary, Paul is actually a major bully. At this point, Paul is still an over zealous Pharisee named Saul. Saul's favorite hobby was to persecute and kill Christians (if you are looking for a hobby, I would recommend poetry or knitting before persecuting and killing). Luke (the author of Acts, in case you are into trivia) describes Saul in this manner: "As for Saul, he made havock of the church, entering into every house, and haling men and women committed them to prison" (Acts 8:3) and "Saul [breathed] out threatenings and slaughter against the disciples of the Lord" (Acts 9:1). Saul was clearly leaning to the dark side of the force. Some may argue that Saul was simply trying to follow the law of Moses in his persecution of the Christians, but I think he got a little too much personal enjoyment from his job of persecuting. But it's not what I think that is important. Rather, let's take a look at what the Lord thought about Saul's antics. As Saul was skipping down the road looking for more Christians to bully and imprison, he suddenly saw a bright light from heaven. Naturally, he was scared and fell to the earth. He then heard a voice saying, "Saul, Saul, why persecutest thou me?" To his credit, Saul at least made an attempt to answer the voice by asking, "Who art thou, Lord?...what will thou have me to do?" The Lord replied, "Arise, and go into the city, and it shall be told thee what thou must do" (Acts 9:3-6). Clearly the Lord thought that Saul needed to change his behavior. To make a long story short, Saul did exactly what the Lord told him to do. He changed his name to Paul (nothing wrong with a fresh start! ), was called to be one of the 12 apostles, wrote 9 books of scripture, served multiple missions, was shipwrecked, imprisoned and whipped, testified before kings and priests all across the Roman Empire, and ultimately gave his life as a martyr for the gospel. Not too shabby for a former bully. Do you ever recall hearing stories about a bishop's kid or a mayor's son who totally rebels against his parents? Well, those stories share a lot in common with that of Alma the Younger and his best buddies Ammon, Aaron, Omner, and Himni in the Book of Mormon (since all those names are a mouthful, let's pretend that Ammon, Aaron, Omner, and Himni are a boy band called the "Sons of Mo" for short). Alma's dad (who was also named Alma) wasn't just the bishop; he was the Prophet. And the Sons of Mo's dad was much more than the mayor; he was King Mosiah. Well, Alma and the Sons of Mo rebelled against their dads and did everything that they could to bring down the Church. In my mind, I like to think of Alma as the ringleader. We can speculate on his motives--perhaps he felt like his dad didn't pay enough attention to him, or maybe he thought Church was boring, or possibly he was sick and tired of being called "the Younger" all the time (just look at how Indiana Jones reacted to being called Junior). Whatever the case may be, we know that he (Alma, not Indiana Jones) was "a very wicked and an idolatrous man....who stole away the hearts of the people...going about to destroy the church of God" (Mosiah 27:8-10). Later in life, Alma himself said, "I had murdered many of [God's] children, or rather led them away unto destruction" (Alma 36:14). However, much like the case of Paul, the Lord had other plans for Alma the Younger and the Sons of Mo. On one sunny afternoon (that's how I picture it in my mind), Alma and the Sons of Mo were up to no good, causing trouble in their neighborhood. Suddenly, an angel appeared unto them and with a voice of thunder, said, "Alma, arise and stand forth, for why persecutest thou the church of God?...can you dispute the power of God? For behold, does not my voice shake the earth? ...go the way, and seek to destroy the church no more....[or] be cast off" (Mosiah 27:13-16). Oh snap. Fortunately, Alma, Ammon, Aaron, Omner, and Himni took the message to heart. They repented of their sins and from that point on, they did everything they could to spread the gospel and bring people to Christ. Alma became the next prophet. The Sons of Mo became some of the greatest missionaries of all time (and quite possibly had a #1 single). A very significant portion of the Book of Mormon focuses on their lives. If you are looking for an amazing story of redemption, I can think of no better place to start than here. There is something extremely tragic (but also extremely satisfying) about the story of Darth Vader. Okay, so I understand that Darth Vader is fictional (please don't tell that to my nephew Jack), but does that make his story any less exceptional? Of course not! Without Darth Vader, Star Wars would be nothing more than the story of a whiny farmer and his twin sister with weird hair. 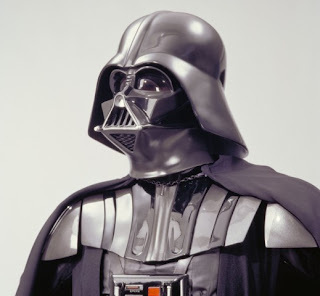 In my mind, Darth Vader is the numero uno bad guy in all of fiction. He blows up planets, he tortures his own kids, he chokes people when they disagree with him, and he hates wookiees (truly evil!). If you take the Star Wars movies chronologically, the first time we meet Darth Vader is when he is still just an innocent slave boy named Anakin Skywalker. He is tenderhearted, caring, and has a knack for building obnoxious droids. 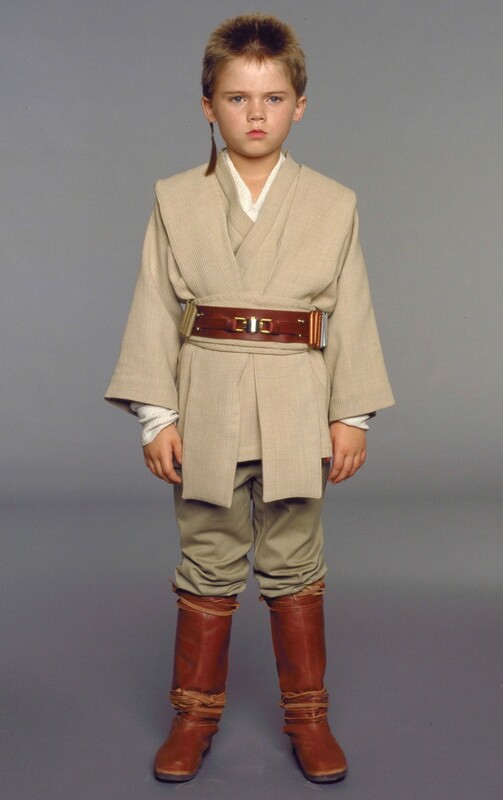 However, as he grows into a Jedi Knight, Anakin begins to change. His power leads to pride, and he starts to think he is better than everyone else. He breaks all kinds of Jedi rules, including killing a whole village of Sand People, marrying a Queen/Senator/Cougar, and having a ridiculous haircut. 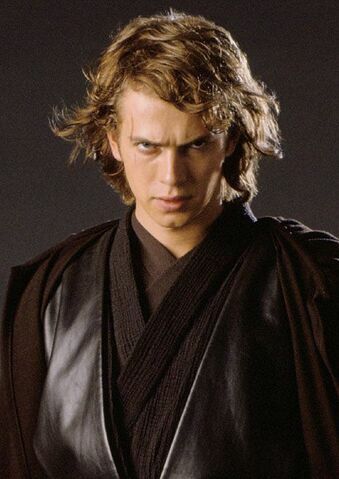 Ultimately, Anakin's pride and inability to live the Jedi way lead to his downfall. He becomes paranoid of other Jedis, gives carpal tunnel to Mace Windu, changes his name to Darth Vader (the opposite of Saul changing his name to Paul), and tries to kill his best pal and mentor, Obi-Wan Kenobi. For the next 25 or so years, Darth Vader becomes a total jerk. Over the course of "A New Hope", "The Empire Strikes Back", and "Return of the Jedi", Vader does all kinds of evil things (see note above about BLOWING UP PLANETS). However, perhaps the most important of the bad things Vader does is repeatedly attempt to convert his son Luke to the dark side. At the climax of "Return of the Jedi", it seems that Vader has finally given up on Luke, as he sits back and watches the Emperor start to fry his son with Sith Lightning. But then....something clicks beneath that big bad suit of armor. Vader remembered who he really was. He wasn't a Sith. 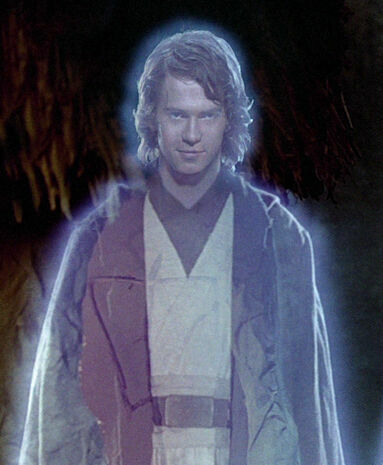 He was Anakin Skywalker, the Chosen One (sorry Harry Potter) who was destined to bring back balance to the force! And bringing balance to the force is exactly what he did. In an act of self-sacrifice, Anakin grabs the emperor, picks him up like a sack of potatoes, and chucks him down a massive reactor shaft. As he is lifting the Emperor into the air, Anakin suffers from the effects of the Emperor's Force Lightning, and ultimately dies just a few moments later. Despite all the bad things he did in his life, Anakin's ended up on the light side of the force. 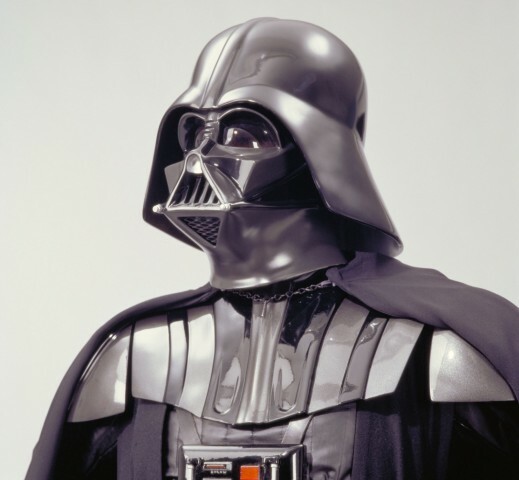 Conclusion: Although I had a lot of fun including the story of Darth Vader in this blog post, in all seriousness my real goal in writing was to remind you that no matter how far a person may have fallen, there is always hope that he/she can repent, be redeemed, and come back to the light. None of us are too far removed from the Atonement of Jesus Christ. His love knows no bounds. He never gives up on us. He is our greatest friend, advocate, and source of hope. It may seem ironic, but because of Jesus Christ, each one of us is a part of the truly greatest story of redemption ever told. "Gentle Healer" by Greg Olsen. "I love your blog. And I love Star Wars. And I love Clone Wars. (That's it Mommy, that's it.)" "Wait...I...no...This is the best blog EVER that you wrote!" -WRITTEN BY MY SIX YEAR OLD SON GUY!!! That was also the first post he's ever read and the first comment he's ever left on a blog post. Monumental. He was stoked! Thanks for bringing stories of the scriptures alive for my little Star Wars fan! "because of Jesus Christ, each one of us is a part of the truly greatest story of redemption ever told" Love that line! It inspires me. Can't wait to share this with my boys! Thank you gals for your kind comments! You make me feel great! Big fan of Star Wars here .. loved reading this! #13: Why I am a wimp at Halloween (thanks, dad). #9: Object Lesson Gone Wrong. #8: Part 2: My favorite Mormon iPhone apps. #7: Part 1: My favorite Mormon iPhone apps. #6: Patterns and celebrity/Mormon look-alikes. #5: Primary Class and T.A.K.E. #4: Nephew and nieces invade the rebel base. #2: A wee bit about me. #1: A wookiee. A Mormon. A Mormon wookiee.